If you were to list the five most important virtues in the world – what would they be? What are the five nearly heroic characteristics that set a man or a woman apart from the crowd? Is it education? Wealth? Good looks? Talent? Athleticism? I don’t think that any of those things would make my top 5 list … and yet it seems that in our world today … those are the very things that captivate people’s attention. When you read People Magazine… or watch the network news… or scroll through Google News… rarely do you see a story about a woman who is simply a good mother … or a pastor who is kind to the elderly … or a 16-year-old who told the truth. Isn’t that interesting and sad at the same time? Generally – the stories that generate the most headline coverage are those that are tout the adventures of the rich and famous … or the words of questionable politicians … or of athletes and their achievements … or of convicts and their crimes. However, in my humble opinion, those particular categories of people are actually not the movers and shakers of my generation. In eternity’s headlines, which are the only headlines that actually matter let me say, those are not the unforgettable people in any moment in history. As the New Year has dawned, I have been giving much thought to the woman that I deeply desire to become. And, as such thoughts and dreams flood my mind and heart, I realize that more than writing a best-selling book or speaking to thousands – I just want to be a woman that eternity remembers. Don’t get me wrong – I would still love to write a book that will impact hundreds of thousands of lives! I deeply desire to teach the Word of God every day of my life until every person knows about Jesus! I live to make hell smaller and heaven bigger! I know that I know that I know that I have been appointed by the Holy Spirit to set the captive free from depression, discouragement and disappointment. But I also know, deep within my heart that the greatest call of my life is to be not to do. 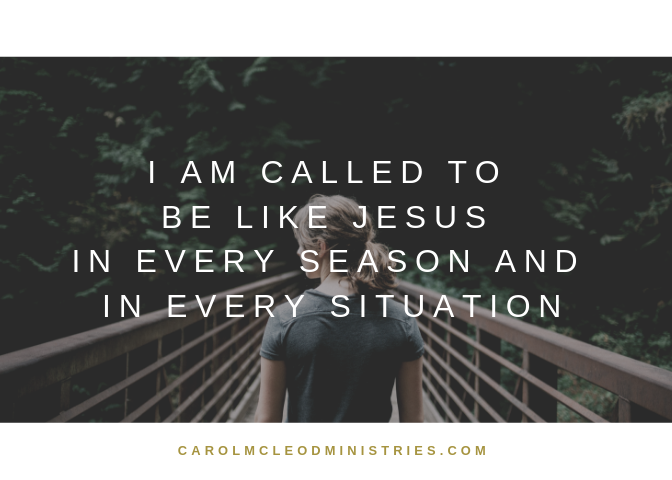 I am called to be like Jesus in every season and in every situation. I am called to cultivate the fruits of the Holy Spirit in my life even when I am in a wilderness. I must allow the character of God the Father to be the guiding force in every thing that I attempt to accomplish in life. What are the 5 most important virtues that a person can possess in life? What are the 5 powerful characteristics that have the eternal ability to set a man or a woman apart from the crowd? I do have 5 virtues that I have been pondering and I am going to tell you what they are. First of all, though, let me tell you how this has shaken out for me. I am going to submit four of the five to you in no particular order. In my book, there are all of equal importance. But that last one? The fifth one? That is the one that is dynamically more important than the rest … the fifth one is the one that can turn a common person into an unforgettable champion of greatness. So, I will indeed save the best for last! Perhaps you have guessed the most important one by now … maybe you realize what I have left out of this list of distinguished list of human greatness. Love will always change your motive from selfish to selfless. Love will always cause you to act like the Father because He is love. He knows of no other way to be… or to act … or to talk. Love is the family business. Love the life you have been given and the people who cross your path daily. Love people who are cruel to you and those who disagree with you. Love children and the elderly. Love the people you like and the people you don’t like. Love your friends and your enemies. Love your family and the people you work with. Love when you feel like it and when you don’t feel like it. It will be people with the greatest demonstration of love who change the world not those with the most impressive education … with the biggest bank accounts … or with the most awards. I agree with Bob Goff. It’s my goal for 2019 … Love everybody all the time.